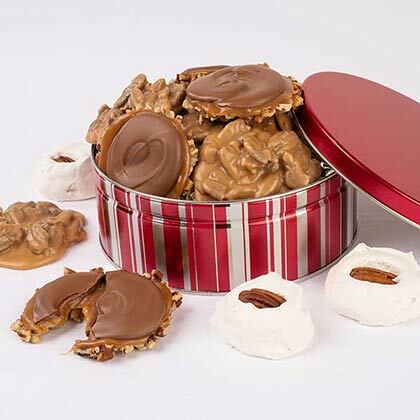 Rounding out our Candy Striped Tin collection we've got our Best Sellers Trio, an assortment of the best handmade candies our candy kitchen has to offer. 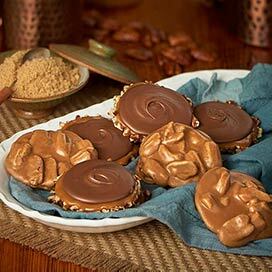 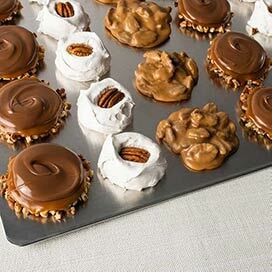 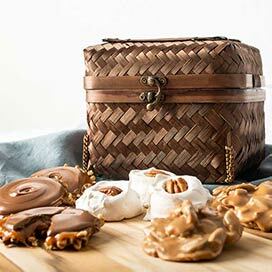 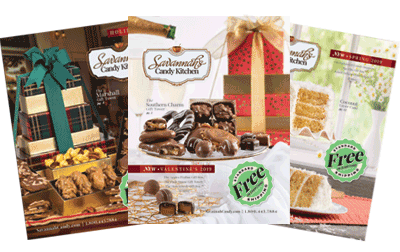 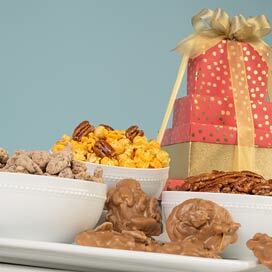 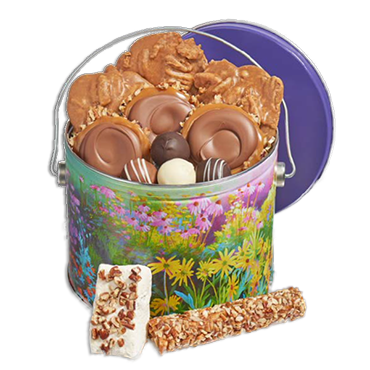 Featuring Savannah's Original Pecan Pralines, Milk Chocolate Caramel Gopher Turtles, and Southern Pecan Divinity. 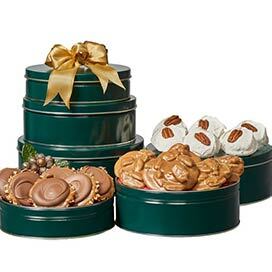 Very good--but didn't know they would be individually wrapped.